2.1 Q1. What is the offer? 2.2 Q2. What is the offer duration? 2.3 Q3. What is the eligibility for this offer? 2.4 Q4. I did a prepaid recharge for Rs.100, how much cashback am I eligible for? 2.5 Q5. Is the offer valid only on my first recharge on Amazon.in? 2.6 Q6. I did my first purchase on Amazon.in on 9th October, am I still eligible? 2.7 Q7. If I buy prime membership on 9th October, am I eligible for the offer? 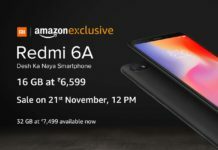 Amazon great indian sale recharge loot Rs 100 cashback offer. Get 100% Cashback on Prepaid Mobile Recharge upto Rs 100. Amazon has come up with new Amazon great indian sale recharge loot Rs 100 cashback offer. This offer is valid for all users and valid from 12:00:00 PM October 9th 2018 to 11:59:59 PM 31st October 2018.The offer is applicable for customers who have done at least one shopping transaction on Amazon on or before 9th October 2018. Max Cashback is Rs 100. Grab Amazon great indian sale recharge loot Rs 100 cashback offer. 1) First of all click here to go to recharge page. 2) Log in/Sign up your amazon account. 3) Enter your Prepaid Mobile Number, Operator, Circle & Plan Amount. 5) Now, Pay the amount using amazon Pay and complete your transaction. 6) That’s it ! you will get 100% cashback upto Rs 100 in your amazon pay within 7 days. Q1. What is the offer? Get 100% back, up to Rs.100 on your prepaid mobile recharge. This offer is applicable for customers who have done at least one shopping transaction on Amazon on or before 9th October 2018. Shopping transaction includes purchase of any product on Amazon.in excluding Mobile Recharges, DTH Recharges and Bill Payments (Electricity, Gas, Landline, Broadband, Postpaid bills). Q2. What is the offer duration? Q3. What is the eligibility for this offer? Customer should have done at least 1 shopping transaction on Amazon.in or before 9th October 2018 to be eligible for the offer. Shopping transaction includes purchase of any product on Amazon.in, except Mobile Recharges, DTH Recharges and Bill Payments (Electricity, Gas, Landline, Broadband, Postpaid bills). Q4. I did a prepaid recharge for Rs.100, how much cashback am I eligible for? Customers who are eligible, will get 100% back, up to Rs.100 as part of the Exclusive Offer, by 17th Oct. Customers may also get cashback for the monthly prepaid recharges offer, which they will receive instantly. For example: customers who have done a prepaid recharge for Rs.100, will get Rs.30 back as cashback for the monthly prepaid recharges offer instantly (refer offer terms) and will get additional Rs.100 back as cashback for the Exclusive Offer by 17th October. Q5. Is the offer valid only on my first recharge on Amazon.in? No, the offer is not limited to your first recharge on Amazon.in. Customers can avail this exclusive offer for their repeat recharge also. Q6. I did my first purchase on Amazon.in on 9th October, am I still eligible? Yes you will be eligible if you make made your first purchase on Amazon.in on or before 9th October. Shopping transaction includes purchase of any product on Amazon.in except recharges and bill payments. Customers that make their first purchase on 10th October, will not be eligible for this exclusive offer. Q7. If I buy prime membership on 9th October, am I eligible for the offer? Yes, the offer is valid for customers that become prime on or before 9th October. The cashback will be issued to these customers by 17th October. 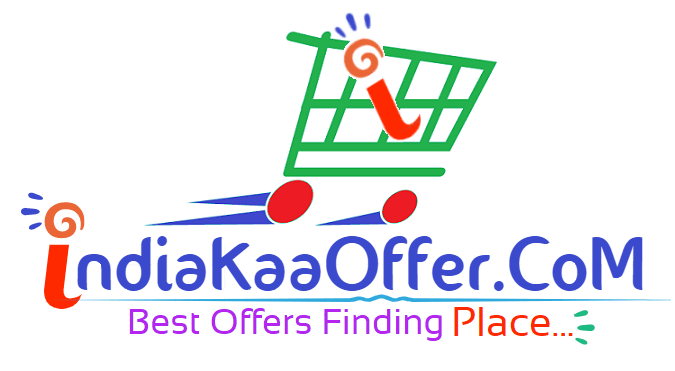 *Mobile Recharges cashback 100% Cashback upto Rs 100 Offer (“Offer”) is made available by Amazon Pay (India) Private Limited (formerly known as Amazon Online Distribution Services Private Limited) (“Amazon”) on the website www.amazon.in and the mobile site and mobile application thereof (collectively, “Amazon.in”). *These Offer terms and conditions (“Offer Terms”) are in addition to the Amazon.in Conditions of Use & Sale to which you agree by using the Amazon.in. To the extent the Amazon.in Conditions of Use & Sale are inconsistent with these Offer Terms; these Offer Terms will prevail in respect to this Offer. *All residents of India having an Amazon.in account, who undertake the steps listed in these Offer Terms are eligible to avail this Offer in respect prepaid mobile recharge for connections issued in India. *Offer Eligibility: This offer is valid from 12:00:00 PM October 9th 2018 to 11:59:59 PM October 10 2018 (“Offer period- Prime Early Access”), for Amazon.in customers who have an Amazon.in Prime subscription. For all Amazon.in customers (Prime and Non-Prime), this offer is valid from 12:00:00 AM October 10th 2018 to 11:59:59 PM October 10th 2018 (“Offer period – all customers”), unless revoked or extended by Amazon in its sole discretion without any prior notice and without any liability. This offer is applicable for customers (as per this eligibility) who have done at least one shopping transaction* on Amazon on or before 9th October 2018. *Any Amazon.in customer (who comes under above eligibility) who does a mobile recharge on Amazon.in during the Offer Period making payment thereof using any payment method except Cash, will be entitled to receive cashback equivalent to 100% of the recharge value. The maximum cashback that can be availed by a customer during the offer period is INR 100. *The cashback (under this Offer) will be provided to the eligible customer (as Amazon Pay Balance) by 17th October 2018. Customers will be issued the cashback for the monthly offer instantly. 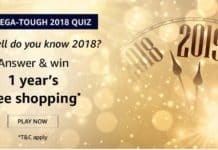 *The cashback will be provided to the eligible customers in the form of Amazon.in Gift Card, issued by Quikcilver Solutions Private Limited (“Gift Card”) which will be credited to their Amazon Pay balance. *The use and redemption of the Gift Card(s) is governed by the Amazon.in Gift Card Terms and Conditions. The use of Amazon Pay Balance is governed by the Amazon Pay Balance Terms & Conditions. *This Offer is available only on recharges of prepaid mobile connections in India. For the avoidance of doubt, it is clarified that this Offer is available only on the said category of operators that are available and listed on Amazon.in. *The customers will be eligible to receive the relevant cashback amount (computed in accordance with these Offer Terms) on successful mobile recharges made on Amazon.in during the Offer Period. *This Offer will not be applicable for any mobile recharge transaction that is cancelled, by the customer, by Amazon Seller Services Private Limited (entity operating the Amazon.in marketplace), or by the seller of the Mobile recharge. Such cancellation may be for any reason whatsoever. *In the event a customer fails to comply with any term under these Offer Terms, he/she will not be eligible to receive the cashback under this Offer. *Amazon reserves the right, at any time, without prior notice and without assigning any reason whatsoever, to add/alter/modify/change or vary all of these terms and conditions of the Offer, or to replace, wholly or in part, this Offer by another offer, whether similar to this Offer or not. *Amazon reserves the right to disqualify any customer from the benefits under the Offer if any fraudulent activity is identified as being carried out for the purpose of availing the Offer. *All disputes between the customers and the seller of mobile recharge will be resolved inter se and Amazon or any of its affiliates will not (nor will be liable or obliged to) mediate or resolve any such dispute or disagreement. *By participating in this Offer, every customer expressly agrees that Amazon or any of its affiliates will not (under any circumstances) be liable or responsible for any loss or damage whatsoever that a customer may suffer, directly or indirectly, in connection with this Offer. *Nothing contained herein amounts to a commitment by Amazon to conduct further, similar or other offers. *These Offer Terms are governed by the laws of India and the courts at New Delhi shall have exclusive jurisdiction over any disputes in relation to this Offer. *The customers are not bound in any manner to participate in the Offer. Any such participation is voluntary and the same is being made purely on a “best effort basis”. *Any person availing this Offer shall be deemed to have accepted these terms and conditions.